I am incredibly pleased to announce that we are sharing our first giveaway! 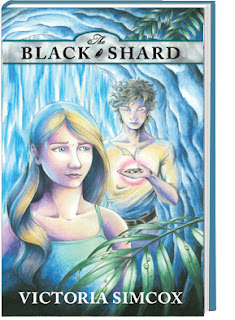 We have three ebook copies of 'The Black Shard' by Victoria Simcox to give away to anyone anywhere in the world! It is listed as a middle grade read, ages 9-13 and is 267 pages with 1-2 pictures per chapter. Perfect for any children or siblings you may have! -Enter the giveaway using the Rafflecopter form below making sure to leave all your contact details so we can get in touch. -As mentioned before, there will be three winners and the giveaway is open internationally. Good luck! -The giveaway is open for 2 weeks.